Remember playing spin the bottle as a child and wondering who the bottle would land on? Perhaps it was the person you had a crush on. Perhaps it was not. 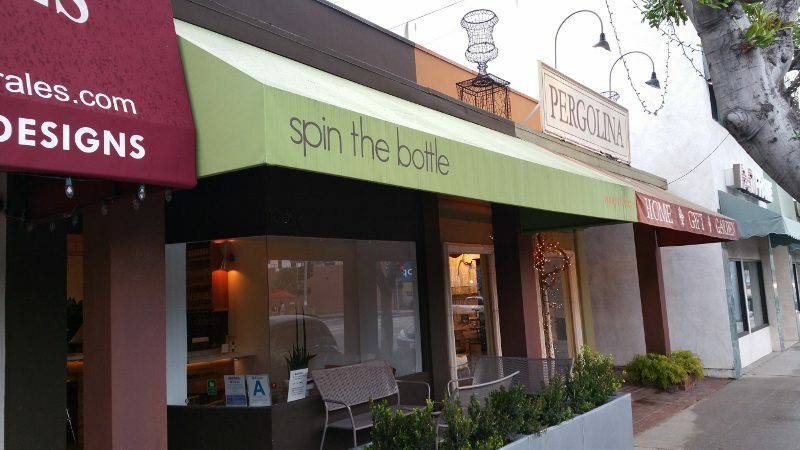 As grown-ups now, I like the idea of Spin the Bottle Wine Studio in Toluca Lake. 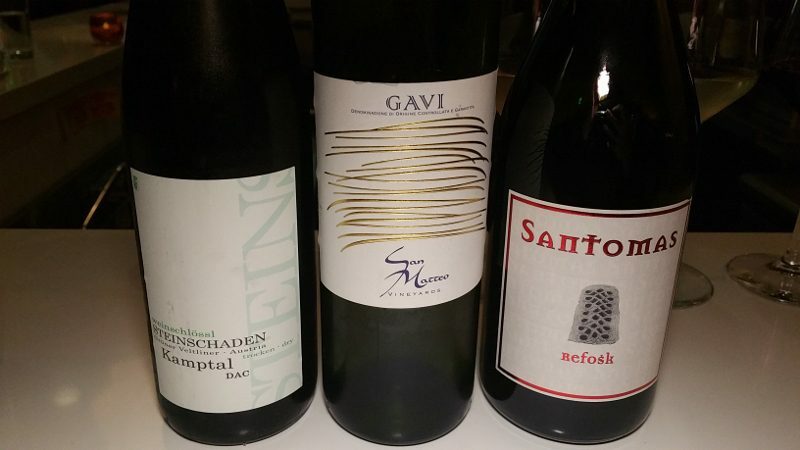 You may never know what bottles will be open on the day that you go, but at least you can pick the bottle of wine you want try. Or let them pick the bottle for you! 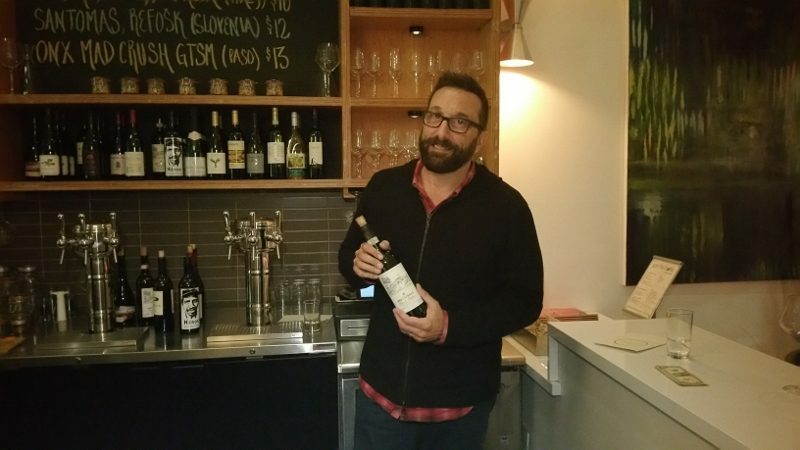 Spin The Bottle Wine Studio is owned by Doug LaGambina (partner/investor of Hollywood’s Wood & Vine) with partner Scott Kay (principal at Vine Street Partners and partner at Wood & Vine). 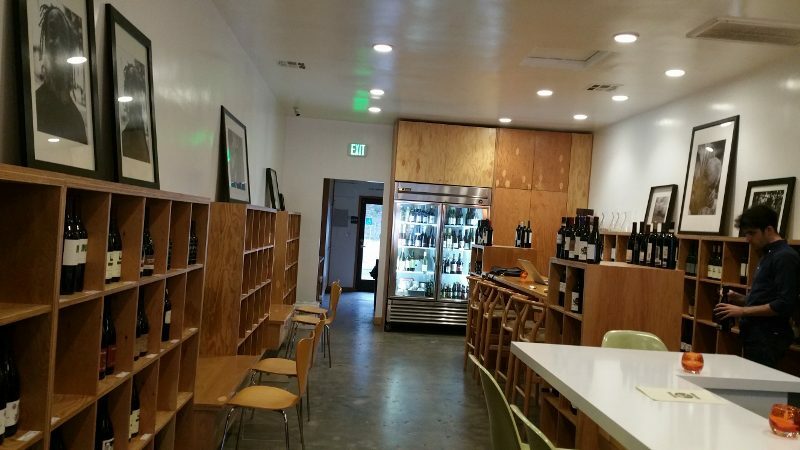 It is a wine bar and retail shop that features a cultivated list of imported and domestic small production wines. The space is modern retro. The walls are lined with shelves of bottles for perusing but take a seat at the large 12-seat bar in the center of the store or at one of the other tables and sit down and enjoy and glass, or flight, of wine. 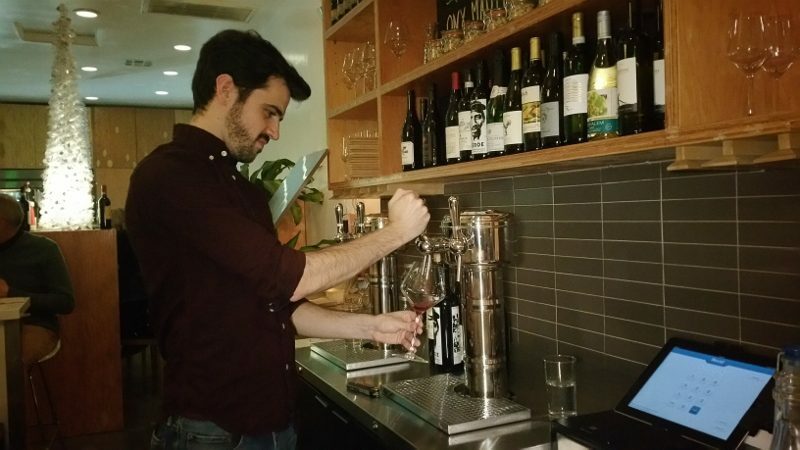 Spin The Bottle Wine Studio has six wines on tap, as well as additional bottles available to sample. The wines on the chalk board are what changes daily so you just never know what new varieties or producers you might get to try. Glasses of wine range from $8 to $13. 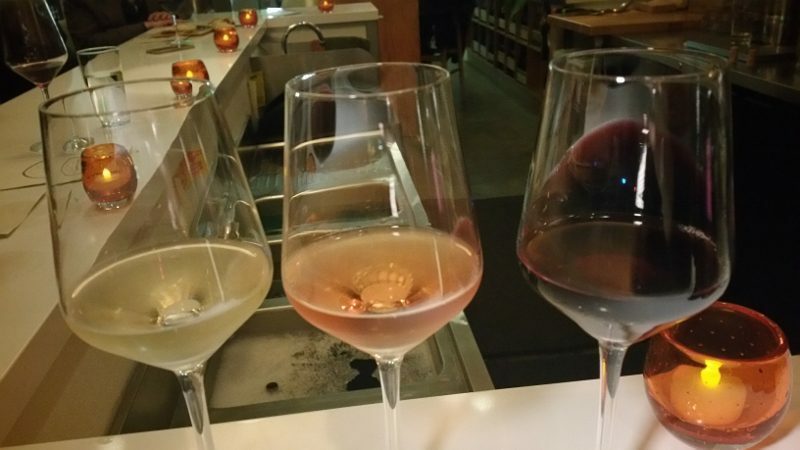 Pick a glass of wine but my suggestion is to do a flight of wine. 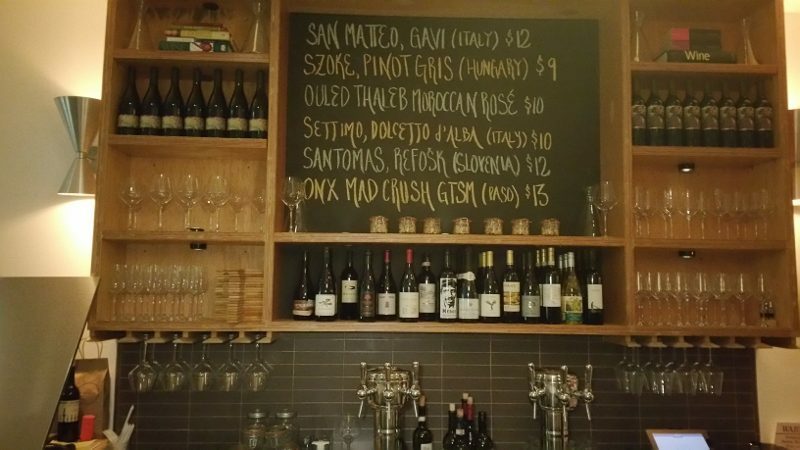 Pick any three wines off of the list or the chalk board and create your own flight. 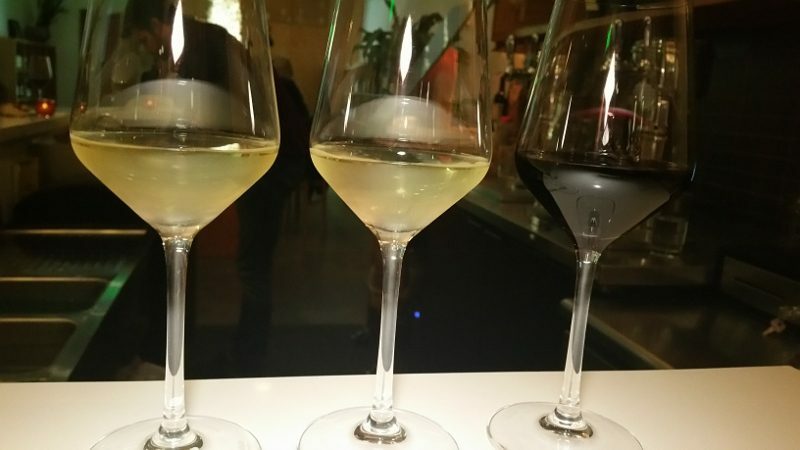 Try all white wines, all red, all Italian or whatever you prefer. Or ask the staff at Spin The Bottle to help you chose wines. Perhaps you will try something new. 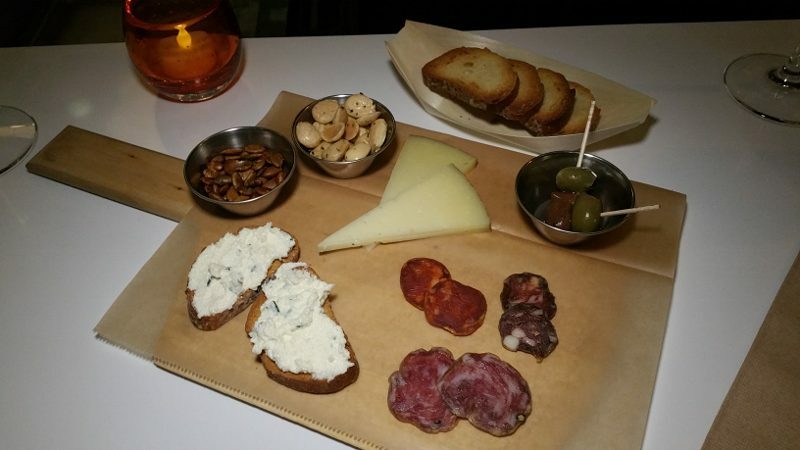 Spin The Bottle also offers a menu of snacks featuring artisanal charcuterie, salumis, cheeses. These are the perfect little bites to enjoy while tasting wine. Spin The Bottle Wine Studio is a relaxed, friendly and inviting place to enjoy a glass of wine with friends and discover something new. 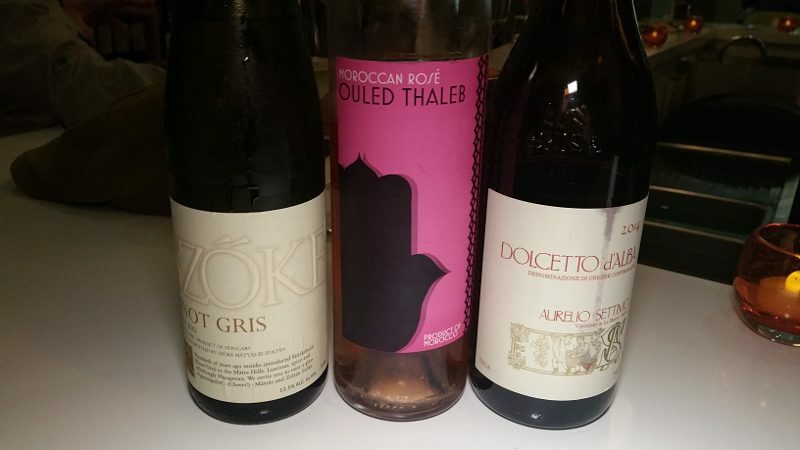 This entry was posted in Food, Wine and tagged Doug LaGambina, small production wines, Spin The Bottle, Toluca Lake, Wine, wine bar, wine on tap, wine tasting by Allison Levine.